Piper Jaffray Companies (NYSE: PJC) is American multinational independent investment bank and financial services company focused on mergers and acquisitions, financial restructuring, public offerings, public finance, institutional brokerage, investment management and securities research. Through its principal subsidiary, Piper Jaffray & Co., the company targets corporations, institutional investors, and public entities. Based in Minneapolis, Minnesota, Piper Jaffray has 55 offices in the U.S., Europe and Asia. The company was founded in 1895. Piper Jaffray was named one of America's 50 Most Trustworthy Financial Companies by Forbes magazine in 2015 and 2017. Piper Jaffray was also named 2014 Investment Bank of the Year by Mergers & Acquisitions Journal. Piper Jaffray traces its roots to 1895 when George Lane established George B. Lane, Commercial Paper and Collateral Loans & Co., a commercial paper brokerage, in Minneapolis. In 1913, Piper, Jaffray Co. was established as another commercial paper business by H.C. Piper Sr. and Clive Palmer (C.P. or Palmer) Jaffray. In 1917, George B. Lane & Co. merged with Piper, Jaffray & Co. to form Lane, Piper & Jaffray. The firm first obtained a seat on the New York Stock Exchange in 1931 with the acquisition of Hopwood & Company, which had been devastated by the stock market crash. In 1971, Piper first offered stock to the public and became a publicly held corporation known as Piper, Jaffray & Hopwood Incorporated. Later, in 1986, Piper's common stock began trading on the NASDAQ under the ticker symbol PIPR. In 1997, the firm was acquired by U.S. Bancorp, also based in Minneapolis, for $730 million in cash. From 1999 to 2003, the firm was known as U.S. Bancorp Piper Jaffray. In 2003, U.S. Bancorp spun off Piper Jaffray in a stock dividend to its shareholders, making the company independent once again under the symbol PJC. In 2006, the company sold its brokerage business to Zurich-based UBS for $510 million in cash. The business had approximately 800 brokers at that time. 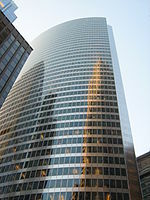 Piper Jaffray New York Office at 345 Park Ave. In February 2016, Piper Jaffray acquired Houston-based energy firm Simmons & Company International for a total consideration of approximately $139 million, consisting of $91 million in cash and $48 million in restricted stock. Piper Jaffray provides investment management and advisory services to institutional clients in the areas of equity, fixed income, private equity funds, master limited partnership and merchant banking. In 2010, the company acquired Advisory Research, Inc., a Chicago-based asset management firm with approximately $7 billion in assets under management. Advisory Research provides U.S., international, global and MLP and energy infrastructure strategies to institutional investors. Tom Schnettler: Vice Chairman of Piper Jaffray & Co.
William Fitzgerald: Chairman and CEO of Ascent Capital Group, Inc.
Sherry Smith: Former Executive VP and CFO of SUPERVALU INC.
Scott Taylor: Executive VP, General Counsel and Secretary of Symantec Corp.
Piper Jaffray has been recognized six years (2012-2017) for gender diversity on its board of directors by receiving the "W" distinction from 2020 Women on Boards. This designation is given to companies with corporate boards which are at least 20% women. In 2002, Piper Jaffray was fined $25 million by state and federal regulators to settle charges that it provided biased stock ratings as part of the Global Analyst Research Settlements. Other firms, such as JP Morgan, Goldman Sachs, Merrill Lynch, UBS, Deutsche Bank and Morgan Stanley were fined for similar reasons. The firm agreed to make structural changes relating to its research and investment banking program to restore confidence in its business. 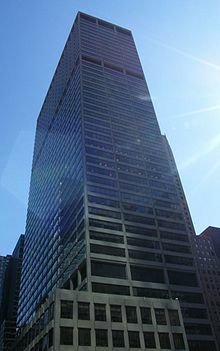 New York Office, 345 Park Ave.
San Francisco Office, 50 California St.
Houston Office, 700 Louisiana St.
^ "Locations". Piper Jaffray. Retrieved 1 February 2016. ^ "Forbes". Forbes. Retrieved 1 August 2015. ^ "M&A Mid-Market Awards". Retrieved 2015-03-15. ^ "Piper Jaffray Companies Inc.: An Inventory of Its Records". Minnesota Historical Society. ^ "Global Finance - World's Best Investment Banks 2012". Retrieved 2012-02-17. ^ "Global Finance - World's Best Investment Banks 2013". Retrieved 2013-02-22. ^ "Wall Street Journal: Piper Jaffray to Acquire Simmons for Energy Dealmaking Push". Retrieved 2015-11-15. ^ "Thomson Financial". Retrieved 2015-12-31. ^ Advisory Research, Advisory Research Web Site. ^ "2020 Women on Boards". ^ Piper Jaffray Agrees to Settle Charges on Ratings of Stocks - The New York Times. The Piper Jaffray Corporate Records are available for research use at the Minnesota Historical Society. This page was last edited on 12 December 2018, at 00:38 (UTC).